This paper utilizes the SOCATv2 data product to calculate surface ocean pH. The pH data are divided into 17 biomes, and a linear regression is used to derive the long-term trend of pH in each biome. The results are consistent with the trends observed at time series stations. The uncertainties are too large for a mechanistic understanding of the driving forces behind the trend, but there are indications that concurrent changes in chemistry create spatial variability. We link the mineralogy of soils affected by erosion and deposition to the distribution of soil carbon fractions, their turnover and microbial activity. We show that the weathering status of soils and their history are controlling the stabilization of carbon with minerals. After burial, aggregated C is preserved more efficiently while non-aggregated C can be released and younger C re-sequestered more easily. Weathering changes the effectiveness of stabilization mechanism limiting this C sink. The increase in anthropogenic atmospheric carbon dioxide is mitigated by uptake by the world ocean, which alters the pH of the water. In the South Atlantic we find the highest rates of acidification relative to increase in anthropogenic carbon (Cant) found in Subantarctic Mode Water and Antarctic Intermediate Water. The moderate rates of increase in Cant combined with low buffering capacities, due to low salinity and alkalinity values, have caused rapid acidification in the Subantarctic Zone. We investigated the nitrate N, O isotopic composition for the Southern Ocean Kerguelen Plateau area, aiming at understanding the N-cycling in this naturally iron fertilized area characterized by large recurrent phytoplankton blooms. The system is characterized by moderate consumption of nitrate over the season while silicic acid, on the contrary, becomes depleted, suggesting significant recycling of N. Mixed layer nitrate isotopic signatures corroborate this. Basic marine carbonate system variables such as pH are often computed from others. Such calculations are made with many public software packages, but their results have never been compared. A new study compares 10 of these packages, quantifying differences, isolating causes, and making recommendations to reduce future discrepancies. This comparison effort has led to more than a 10-fold reduction in differences between packages for some computed variables. The spatial variability of N2O fluxes measured at the field scale were investigated using a high-precision closed loop dynamic chamber. 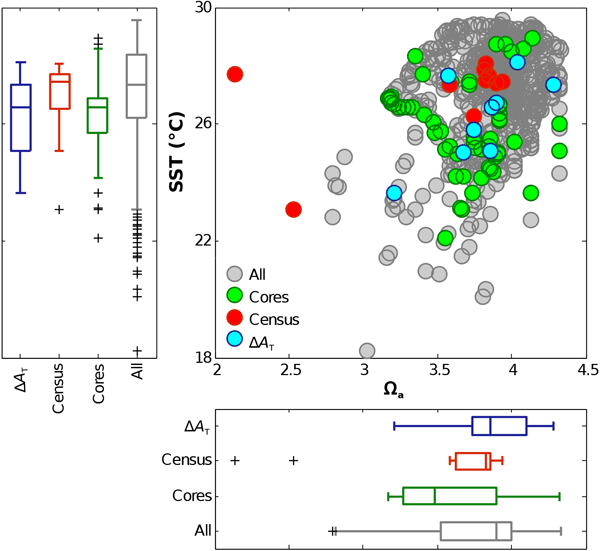 The results highlight the large and often unpredictable variation in N2O flux magnitude measured from agricultural soils at a relatively small scale. Available nitrogen content of the soils accounts for some of the variability in N2O emissions. The study suggests animal waste is an important source of N2O emissions released from livestock farms. The Smithian--Spathian boundary was a key event in the recovery of marine environments and ecosystems following the end-Permian mass extinction ~1.5 million years earlier. Our analysis of the Shitouzhai section in South China reveals major changes in oceanographic conditions at the SSB intensification of oceanic circulation leading to enhanced upwelling of nutrient- and sulfide-rich deep waters and coinciding with an abrupt cooling that terminated the Early Triassic hothouse climate. 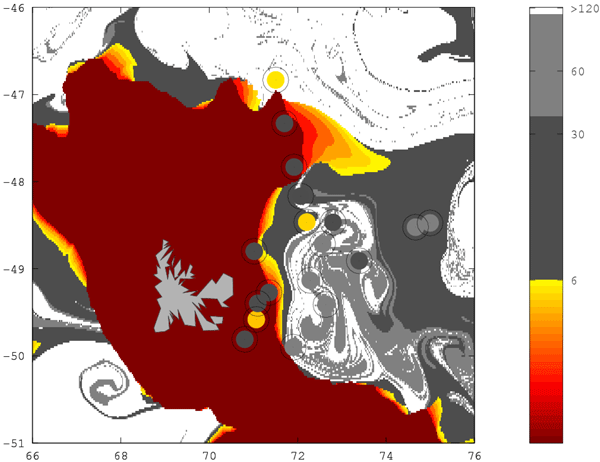 Here we investigate how ecosystem carbon stocks vary with elevation shifting from the closed forest to open alpine tundra, in the mountains of southern Norway. Above-ground carbon stocks decreased with elevation, with a clear breakpoint at the forest line, while the organic horizon soil carbon stocks increased linearly with elevation. 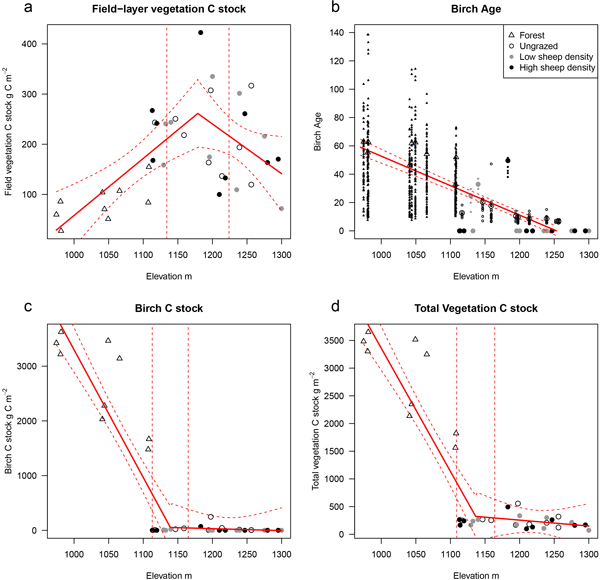 Overall, ecosystem carbon stocks increased with elevation above the treeline and decreased with elevation below, demonstrating the importance of the treeline. A hyperspectral lidar produces point clouds with multiple spectral channels (colours) for each point. We measured a pine and used the spectral content to estimate chlorophyll content. We validated these results using chemical laboratory analysis of needles taken from the pine. Our prototype has limitations, but still shows the great potential of coloured point clouds. Potential applications include forestry, security, archaeology and city modelling.